Growing up, I was sheltered from the movement. It was common knowledge that my mother was active in the NAACP. It was common knowledge that my father organized demonstrations in his youth. After my father's passing, I learned much more about what he did in the community. He said that it would happen this way, as he very intentionally raised his family with love and understanding. That is: there was no expectation to "participate in the movement" because this is path literally marked with blood and bodies. It's not glamorous work, it is dangerous even, and it's not something that you should wish upon your children. I was separated from my father at the tender age of 4 because he was sent to prison for political corruption, despite never having held political office. For context, this is the same charge for which Nelson Mandela was sent to a South African, 'Gulag' style prison. This was never explained to me in my youth. Met Martin Luther King Jr at 17, working with him as a representative of Student Nonviolent Coordinating Committee (SNCC). As he participated in the first wave of Civil Rights movement, he was a student. He spent the majority of the second wave (Early 70's and 80's) working in politics. movement: how activists are made. It's not something that is inherited. There is no coming of age, ritual, or passing down of responsibilities. As it currently stands, the process of becoming an activist for the Black Community happens in one of two ways. Way one: You open your eyes one day, look around, and you see something is wrong. It is followed by an overwhelming sense of entrapment, and you become an activist when you start thinking of ways to get yourself out. Way two: You are thrust into a situation, either directly or indirectly, where you need the movement to come in on your behalf. I'm not sure how this happened for my father. He did grow up in a single parent home in the South, where he watched his mother work double and triple shifts to support her family. He did have to care for his abusive father, who was in his final days in a nursing home. He was also blackballed and expelled from Howard University in the 60s by one of his professors for being too vocal. He ended up transferring to another historically black college, NC A&T, graduating in 1965. For me it became clear after watching my Father die while working, crumbling under the stress and strain. It's very personal, but I did witness in real time what happens to individuals who try to speak out. It's not just him. History gives us many examples. The Civil Rights movements for Black people in this country can be broken down into several waves. The earlier waves in America's modern history, they occur after WWII: Adam Clayton Powell, Martin Luther King, Malcolm X. 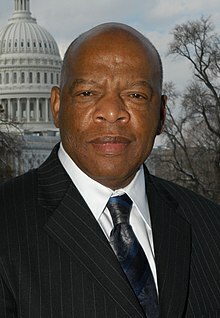 The second wave occurs after the race riots in the 50s and 60s: Black Panthers, SNCC that our current Esteemed Senator John Lewis of Georgia participated in, and coincidentally my Father. This current wave occurs after years of deterioration: from the continuing crack epidemic of the 80s, upscale mass incarceration following the Clinton Administration, the uptick of racial violence following the election of Obama and the reawakening of the White Supremacy movement. This lead to Black Lives Matter, Kilpatrick's demonstration and others in the athletic arena. Each movement was inspired by the generation before it. Watching your parent return from WWII, from defending this country, only to be disgraced by Jim Crowe. This was such the case as with my Mother. Conversely, it could be from having your parent taken from you. Be it increased incarceration, police brutality or just the slow unforgiving grind of systematic racism, as with me and many others. Institutions, safe havens, places of thought where those trying to make a difference can get what they need; while there is no "passing of the torch", there is this. While it won't immediately make things better for those who feel trapped, it is a way to take away some of the strain. No parent expects their child to "join the movement". It is something that you do for your children, not to them. Unfortunately this doesn’t always happen this way because the children, and eventually, your children will watch you suffer. They will want to do something about it. how activists are actually made. Activists don't ever "inherit" the movement. Activists notice the ills of the world, feel trapped and start thinking of ways to liberate themselves. Either that or someone is forced to become an activist when injustice is done to them. Not sure how my father did it. I suspect he realized he lived in an unjust system. It happened to me when I watched my father be destroyed and when I saw so many other examples in Black History. Activism happens in the Black Community in waves. Another wave is kicked off by watching the one before it be destroyed. The only way I saw to circumvent this is to create an institution to carry on the work. I want to create something long-lasting to stop this cycle.